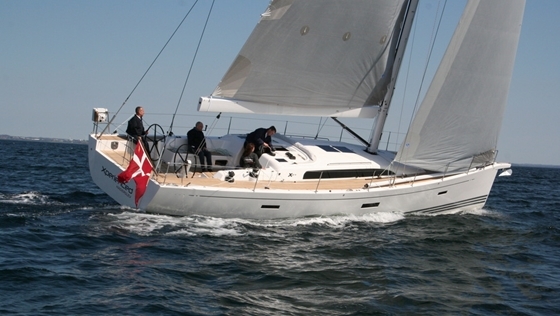 X-Yachts in Denmark continues to expand their performance-cruiser program. 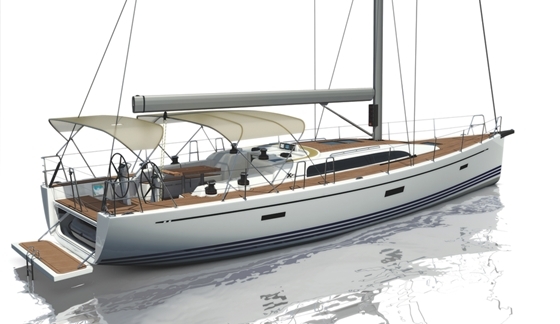 The luxury-racer XP-55 is coming in summer of 2013. The XP-44, XP-38, XP-50, XP-33, and now the new XP-55 – all in less than two years. 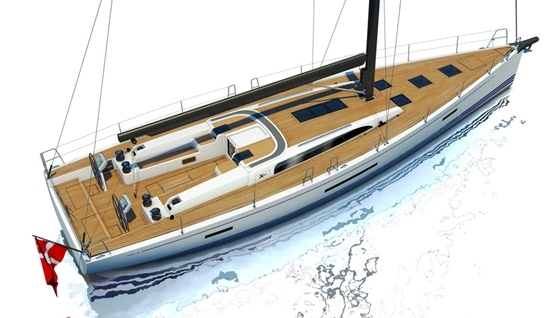 No other builder pushes the development of new models as much as X-Yachts does with their XP performance line. The lines of the XP-55 show good performance potential. The stern platform can be folded down. Behind it is a dinghy garage. 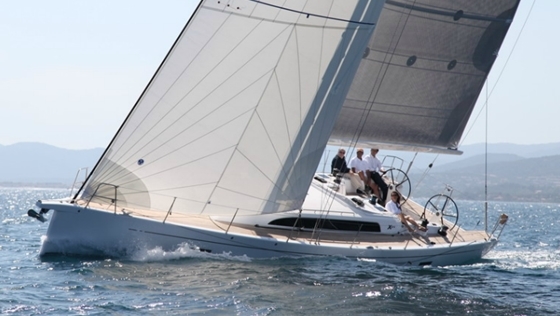 The new XP-55 replaces the X-55, which won the European Yacht of the Year award in 2007. In the meantime much has changed and improved. The boats of the XP line are now built with resin infusion and epoxy, and structural reinforcements of carbon fiber have replaced the steel grid in the bottom of the hull. 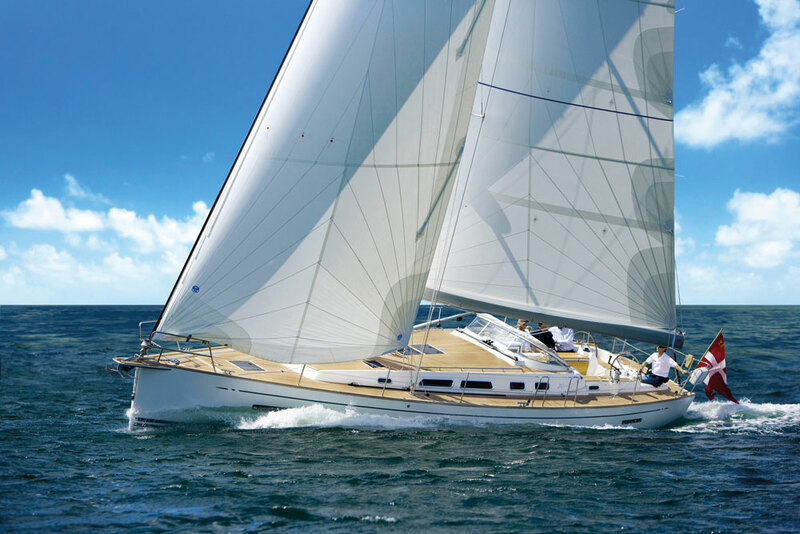 These measures translate into lighter hull and deck structures, a higher ballast ratio thanks to a deep T-keel with a lead bulb, and a higher rig that carries appreciably more sail. 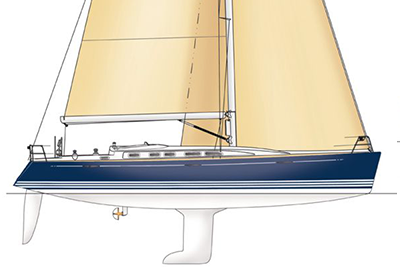 In short, he XP-55 has more power under sail, stands up better to the breeze, and is more maneuverable. According to the calculated performance data of the velocity prediction program, the XP-55 should be about six percent faster upwind than the X-55. Downwind and reaching, the performance could increase by as much as eight to 12 percent. 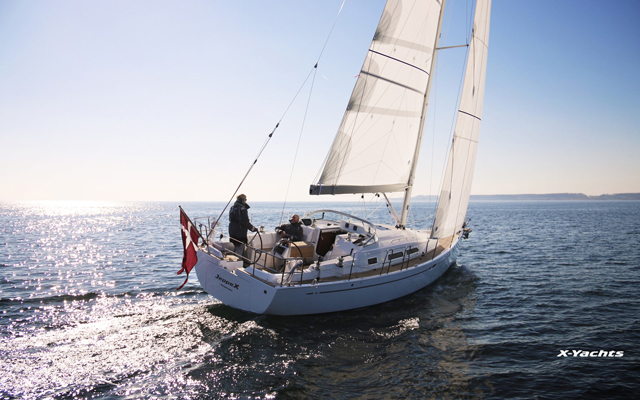 The standard version comes with an aluminum mast and rod rigging. 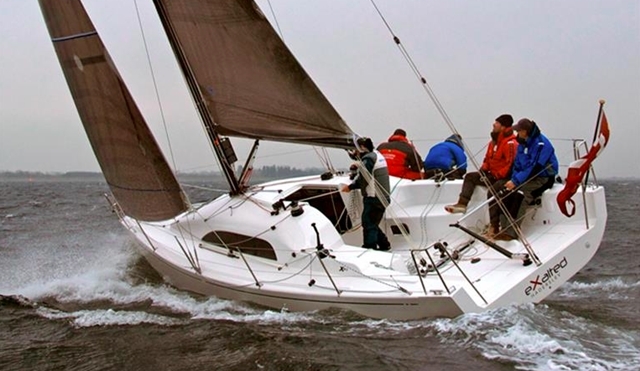 The fixed carbon bowsprit is an option for the 240-square-meter gennaker. Just like the X-55, the XP-55 has enough room to stow a 3.1-meter inflatable in the stern compartment. The interior arrangement is very similar to that of the smaller XP-50, except for more space in the staterooms and the en-suite heads in the aft cabins. 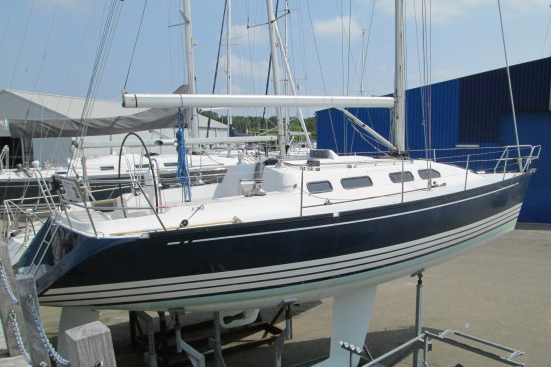 There are different variations for the fore cabin: Instead of the standard island berth on centerline, the berth could be installed off to the port side. In this case, the lavatory moves all the way forward, next to a crew cabin in the bow. The XP-55 is scheduled for launch in summer of 2013, with a base price of 797,300 euros. Genoa, 106 %: 74.8 sq. m.
This story was originally published in YACHT magazine.